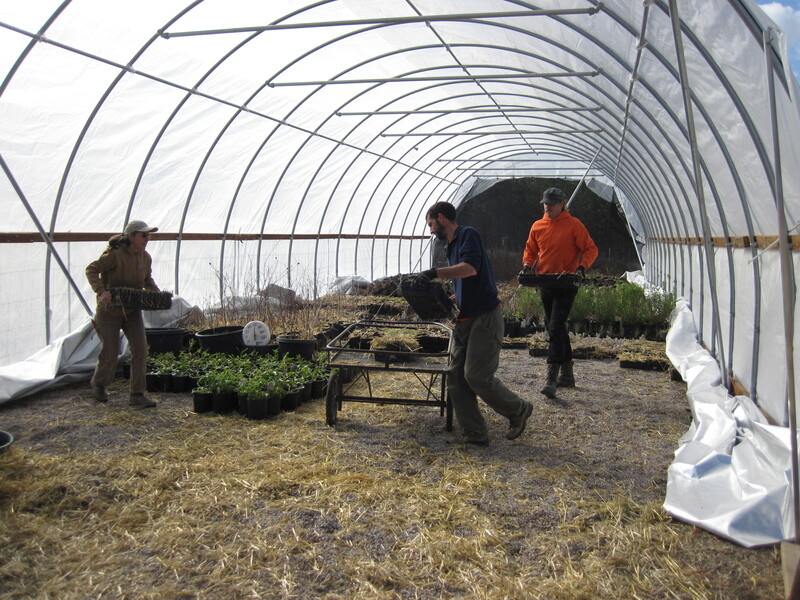 The crew at Blackfoot Native Plants Nursery would like to send out a big THANK YOU to the crew of Native Yards for helping us unload the hoop-house at the nursery on Tuesday. We loaded all our plants in there over the winter to give them an extra bit of protection from the elements- which worked great- but we were dreading carrying each plant back to it’s space outside now the weather is starting to warm up. Our heartfelt thanks to Giles for lending us his crew, and to Courtney, David and Michael for doing much of the heavy lifting. Our backs thank you too! 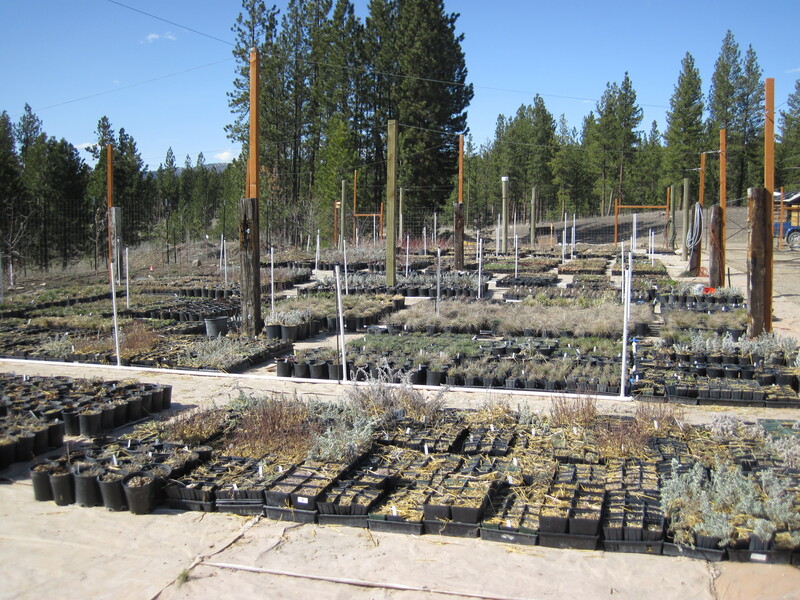 The folks at Native Yards join us in promoting the benefits of native plants as an ecologically friendly choice for landscaping and restoration. They offer a range of options for landscaping from consultation to installation: check out their website at www.nativeyards.com. An empty hoop-house means a full nursery! It was a beautiful day for being outside; we were as glad to see the sun as the plants were. We still have some cleanup and organizing to do, but we’ll be ready to open next week. A good chunk of the credit for that goes to our strong and cheerful helpers, so thanks again guys!